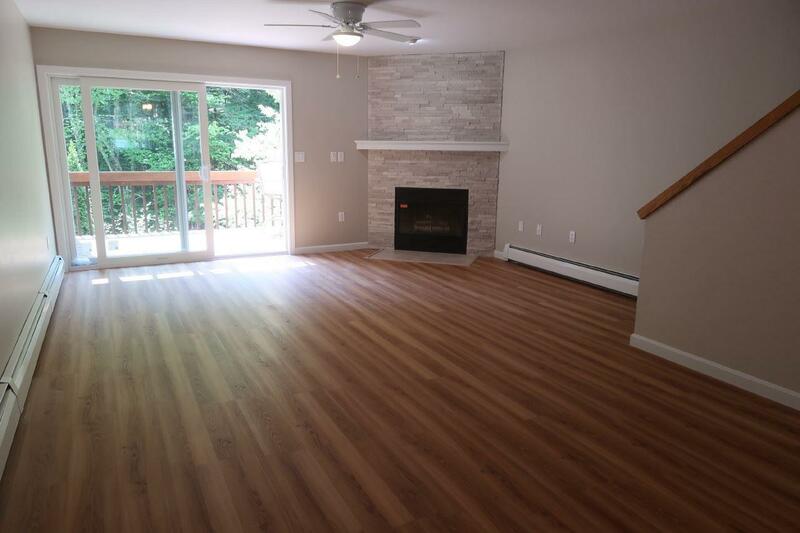 Welcome to this completely and beautifully renovated Brookside Condo with three floors of living space and a garage for the car and more expensive toys! 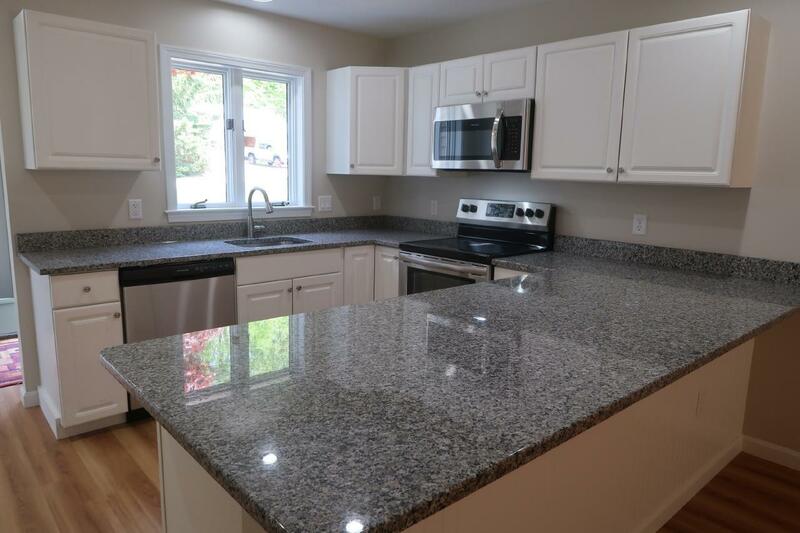 New granite kitchen counters, new appliances, new flooring, new light fixtures, new plumbing fixtures, newly painted interior, and new metal drip edge deck grates to prevent water damage to the decks and building. It is a great three-bedroom, three-bath home with large open-concept kitchen dining and living area on the main level, and another family room downstairs. The stone fireplace in the living room is a focal point once you get past the beautiful kitchen. 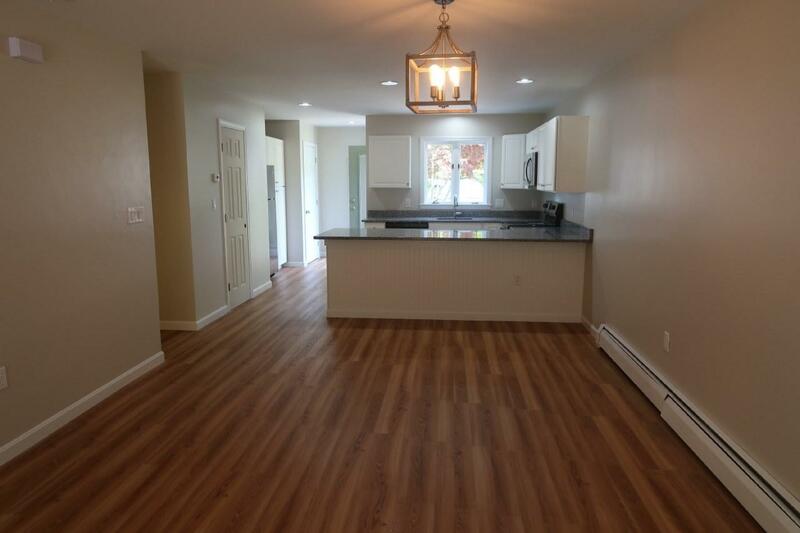 Each floor features an 8 foot sliding door that walks out and overlooks the brook. Year round you can listen to the sounds of falling water flowing over rocks with a nice vertical drop as it goes by. Cool down this summer with a dip in the brook right outside the door. Lots of closets and a big utility room for storage. The small association has low monthly fees. This is a unique opportunity 15 minutes or less to great golf, skiing, hiking and river fun. 15 minutes to Plymouth and Lincoln. 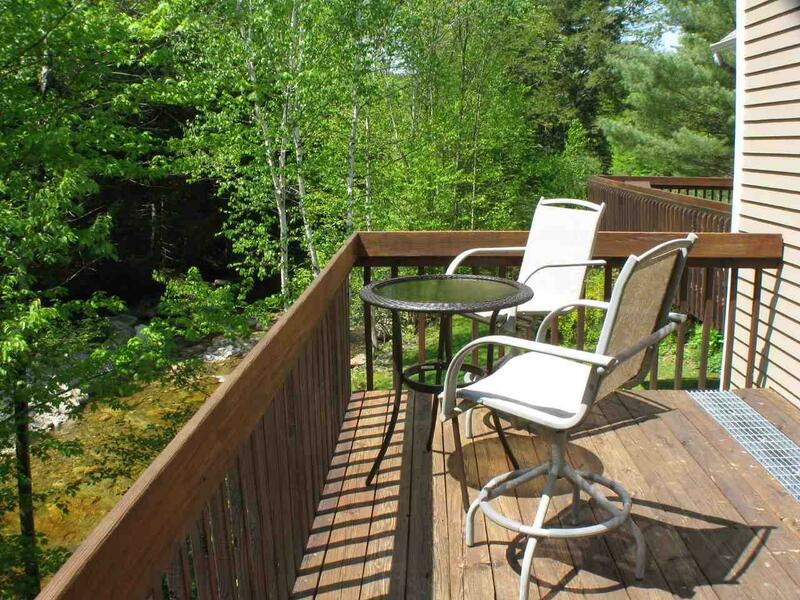 All Lakes Region and White Mountain National Forest amenities are within a short drive! A great primary residence or second home, this place will make all who enter feel welcome and relaxed. Sold by Roper Real Estate. Courtesy of Kathleen Corcoran of Bean Group / Meredith.